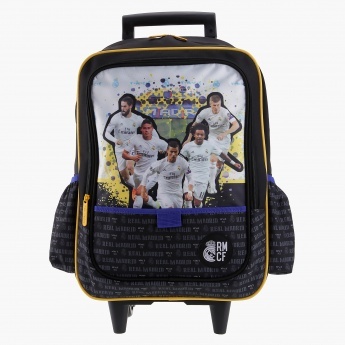 Enhance your kid's daily collection with the addition of this striking Real Madrid printed roller backpack. 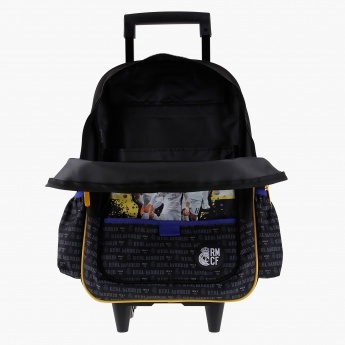 Sporting two compartments, a front pocket and two side pockets, it is apt to keep your angel's essentials organised. 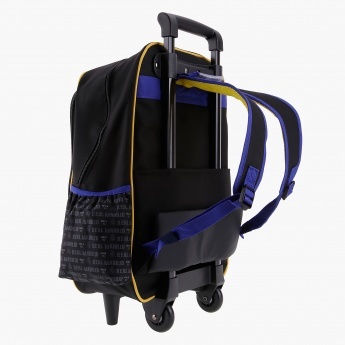 The handle and wheels make it easy to use.